New crime data released by San Jose officials shows the city's understaffed police department is doing much better than critics maintain. Police statistics released by Mayor Chuck Reed indicate violent gang-related incidents dropped more than 70 percent from January to September of this year. In addition, numbers from January to June show serious crimes of all types fell more than 9 percent from last year. "In actuality, San Jose has had the lowest rates of violent crimes of any big city for several years running," Reed said. "So the men and women have done a great job in the department." Reed plans to present the new crime statistics to the mayor's gang prevention task force at a public meeting on Oct. 24. The understaffed police force has been a hot-button issue in the city and remains the No. 1 topic in a heated mayoral race. Sam Liccardo, city councilman and mayoral candidate, has said the police department has been able to do the job despite a dwindling staff. "We know we need more police officers, but our hard-working officers are getting it done," Liccardo said. "We have a lot more work to do." The statistics upset the police union and Santa Clara County Supervisor Dave Cortese, who is also a San Jose mayor candidate. "Crime is significantly up. Robberies, burglary, auto theft: all up, up to 40 percent in those categories," said James Gonzales, a board member for the San Jose Police Officers Association. 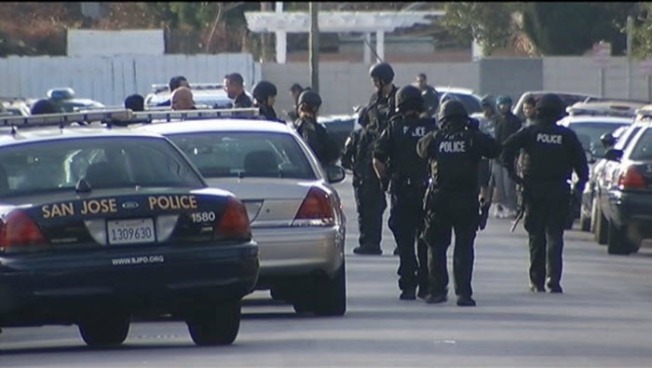 "Crime in San Jose has been on the rise and continues to rise. Cherry picking stats to say something else is just false." Gonzales, Cortese and other critics point to the low class size at the San Jose Police Academy as another sign of a faltering department. The academy welcomed just 23 recruits on Tuesday. "Everybody knows that we have a crime problem," Cortese said. "Everybody knows we lost 400 police officers and people in their neighborhoods are telling me they don't feel safe."